Sydney filly Meryl has won the Group Three Scarborough Stakes at the Valley. Champion jockey Damien Oliver has shaken off the effects of a severely bruised left shin to guide Meryl to a stakes race win at Moonee Valley. 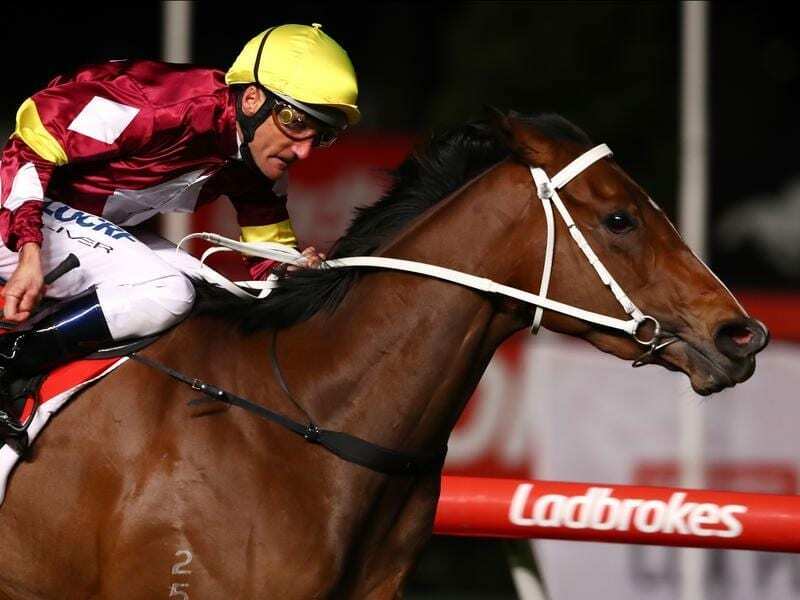 The Sydney visitor claimed the Group Three Scarborough Stakes (1200m) on Friday night after Oliver made a winning move on the home turn. Oliver injured his leg in a barrier mishap on Wednesday and spent Thursday at the beach wading in salt water to reduce the swelling. “It’s still a bit bruised but there’s no point rolling over,” he said. Trainer Lee Curtis said he plans to keep Meryl in Melbourne for the remainder of the spring carnival. “There’s another fillies race at Caulfield in two weeks and then there’s a stakes race at Flemington on Oaks day,” Curtis said. It was a second Group Three win for the filly who claimed the B J McLachlan Stakes at Doomben at the end of last year.